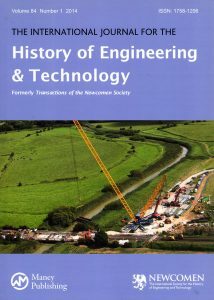 The Society has two publications: The International Journal for the History of Engineering and Technology, (also referred to as The Journal) and Newcomen Links, available to members. The Journal contains papers covering a wide range of subjects and has been published yearly or twice-yearly since 1920. It is the flagship publication of The Newcomen Society. Newcomen Links is the Society’s quarterly, full colour magazine of news, reports and short articles on a wide variety of subjects as well as the Newcomen calendar. 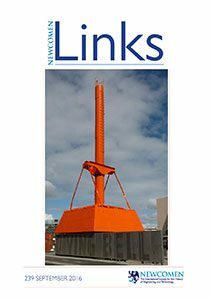 Full Members receive hard copies of both The Journal and Newcomen Links; Associate Members receive a pdf copy of Newcomen Links. Full Members can also access the online Archive containing editions of The Journal dating back to the 1920’s as part of their membership. Non-Members (and Associate Members) may browse the online Archive and pay to download articles.